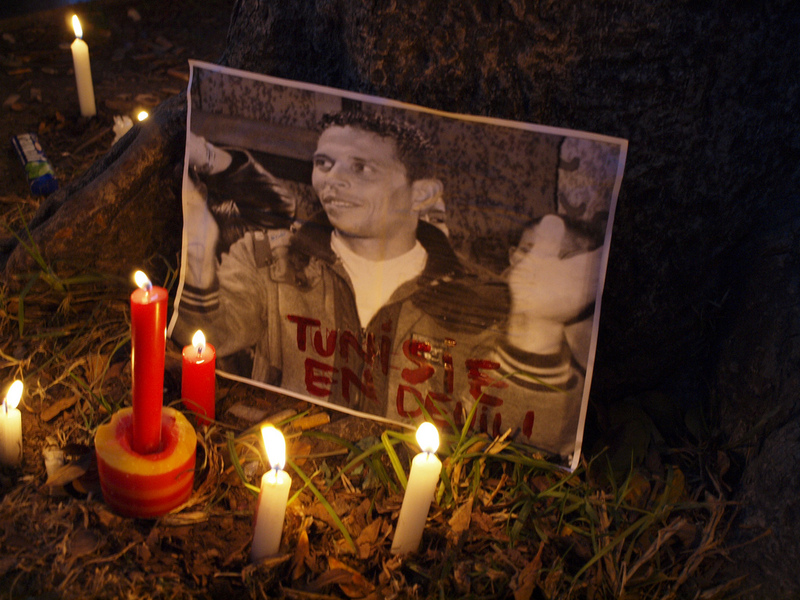 I personally was thinking that Mr. Bouazizi should receive the Nobel Peace Prize (he will not though – the Nobel Prize committee cannot award prizes posthumously). His action of protest, while self-destructive, forcefully yet peacefully called the world’s attention to the plight of his fellow citizens. His death inspired fellow Tunisians to take to the streets and push their corrupt ruler out of power. 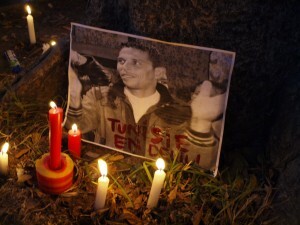 The death of Mohamed Bouazizi in late January, the young fruit vendor who set himself on fire after he was humiliated by Tunisia’s authorities, set off a series of relatively peaceful revolutions that resulted in significant democratic changes in Tunisia and Egypt and the promises of positive change in many other Middle Eastern countries. It is a shame that it took the death of an anonymous man to spark a domino of events but his desperate act points out that one person can achieve so much with just one act. For a couple of weeks, I have been glued to my local national public radio station, vicariously living the thrill of these events that hold so many possibilities for constructive change in areas of the world whose leaders have paid only lip service to the ideals of democracy. I have also reflected on my place in the world. Can I be proud of what my actions have achieved? Yes. My work with Action Against Hunger and International Medical Corps saved many thousands of lives. My work today with the Blue Mountain Project is bringing clean water to the people of Hagley Gap, Jamaica. Can I do more? Always.